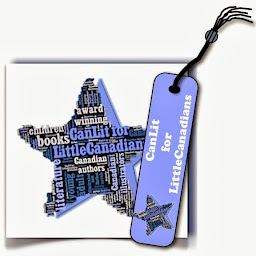 CanLit for LittleCanadians: Will Ladybug Hug? Will Ladybug Hug? Well, she sure wants to, especially as she loves to use hugs to say hello and goodbye. And now that she's packing up for her trip, she wants to say goodbye with hugs. But are all Ladybug's friends willing to let her hug them? In one of a new series of board books, author-illustrator Hilary Leung handles the touchy subject of hugs with sensitivity and humour. 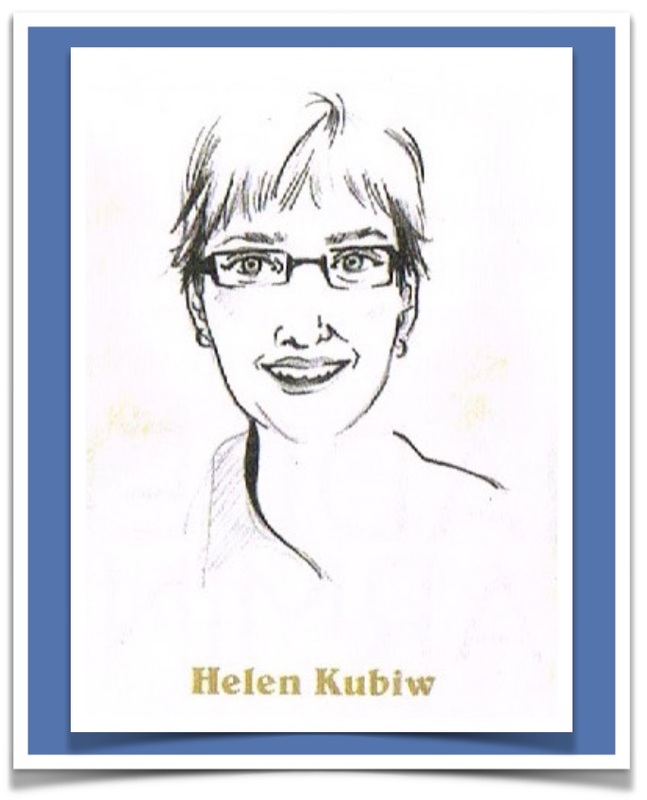 His new sextet of friends–Ladybug, Crocodile, Bear, Sheep, Frog, and Giraffe–are as different in morphology as they are in behaviour and it's these differences that help them reflect the differences in all of us. 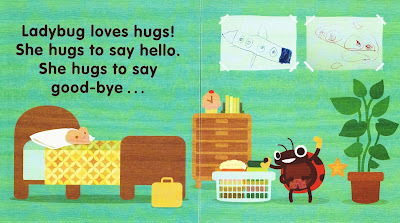 Ever polite, Ladybug approaches each of her friends for permission to hug them. Crocodile looks reluctant but is happy to allow her a side hug. 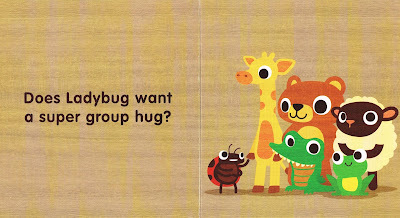 Bear gives a warm hug and Frog a jumping hug while Ladybug gives a flying jump hug to Giraffe. Sheep declines a hug and Ladybug accepts this, evident in both her demeanour and her words. Sheep does not want to hug and that's okay. Even when Ladybug asks about a group hug, all but Sheep agree and Ladybug can still find a way to include her friend with an enthusiastic high five. (Note: Ladybug still asks,"And is Sheep ready for a high five?") Everyone is a little different and that makes their friendships all the more special. 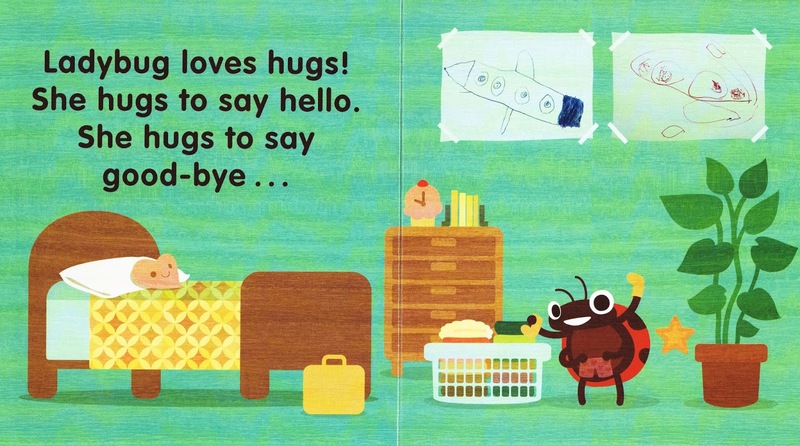 I've loved Hilary Leung's artwork since his Ninja Cowboy Bear series with David Bruins (Kids Can Press, 2009-2011) though it is especially well suited to concept books such as Will Ladybug Hug? 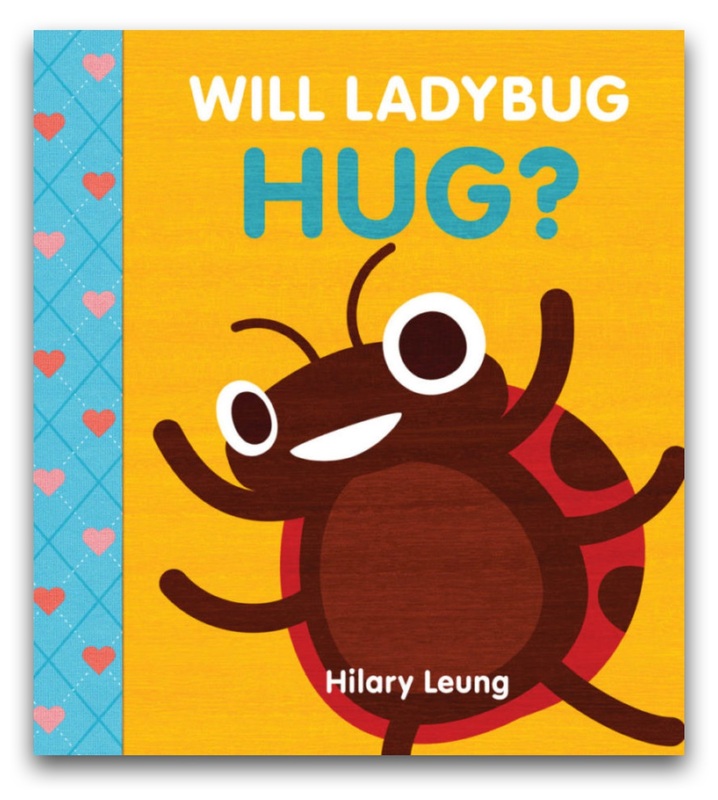 With bold shapes that are easily recognizable to young children, though unique in expression and manner, Hilary Leung takes on the idea of consent from a wholly unique while educational direction. Hugs can be heart-warming and non-threatening but they can be unwanted and recognizing this without taking offence demonstrates Ladybug's acceptance of differences amongst others without judgement. She does not insist on giving hugs to those who do not want them. She amends her need for hugs by giving side hugs, high fives and just respecting the needs of others. Oh, that everyone could learn this lesson as amicably as Ladybug extends it. I think Hilary Leung has a hit series on his hands here. 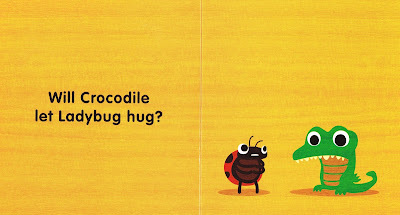 His digital illustrations of a diverse collection of animal friends will speak to children about a variety of important but distinct concepts–consent, compromise and emotions–while delighting them with cheerful illustrations in vivid colours used to tell charming stories appropriate for our youngest readers. 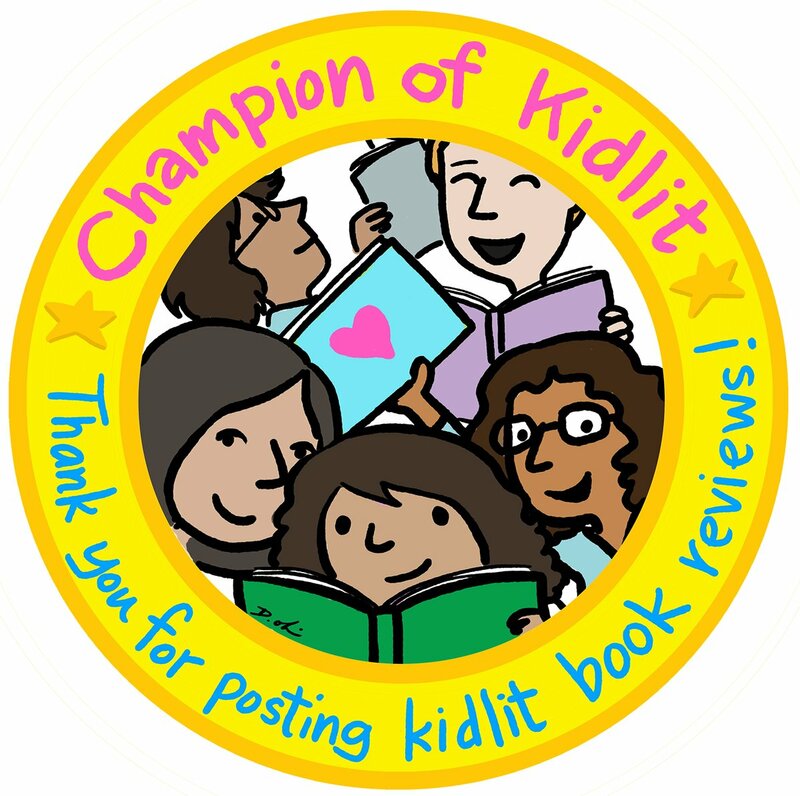 Labels: acceptance, animals, board book, Cartwheel Books, consent, differences, Hilary Leung, hugs, Scholastic, Will Ladybug Hug?